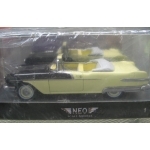 Home > Neo model cars > Neo 44060 1956 Pontiac Star Chief Conv. Model: Neo 44060 1956 Pontiac Star Chief Conv. 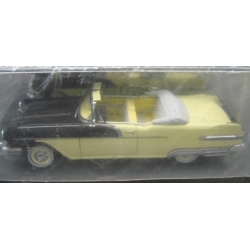 Neo 44060 1956 Pontiac Star Chief Convertible in pale yellow and black with yellow and grey interior, in hight quality resin, 1/43 scale and very limited. Comes in nice plastic display case with card sleeve.